We are your best choice! Values ​​set according to your needs! 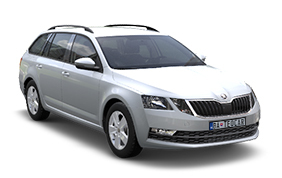 Car rental TEOCAR Bratislava, is based on a respectable approach towards its clients. Our priority is a flexible and individual approach to every customer. We offer short-term and long-term rental of cars from manufacurers Škoda, Volkswagen, Peugeot, Audi, and Mercedes. We are your best choice ! Values ​​set according to your needs ! Our priority is a flexible and individual approach to every customer. We offer short-term and long-term rental of cars from manufacurers Škoda, Volkswagen, Peugeot, Audi, and Mercedes. For our quality service assurance we only offer new cars, which are being checked and serviced in authorized service on a regular basis. Our personnel is at Your disposal 24 hours a day.